I wrote this piece for a school assignment. Please feel free to share, adapt, and use for your own birthing ceremonies. Just before our second son, Finn, was born Kathryn and I and some close friends gathered to welcome him. It was a very powerful experience. Imagine what it would be like to be born into a community that asked you: "What can we do to prepare the way for you? What do you need from us to be able to fully express yourself and to fulfill the mission of your life?" And in case you were wondering, the answer is "No, Kathryn and I are not having another baby." Enjoy! We have gathered together here today to welcome a new being to this Earth. To share in this joyous celebration of life we call the ancestors of our family—all of those people who have worked so hard to stay alive and who amidst all the pain and suffering of this world found a way to bring forth, with care and tenderness, the children that were our great, great, and great grandparents and their progenitors. We call also those who were born into loveless, harsh, and traumatic circumstances. Be here with us today in this field of love, and receive here now what you may have missed in your earthly incarnation. May this fertile ground of love that we, our family and extended community, are cultivating heal the ancestral wounds of all those gathered here today. With gratitude we call also on the ancestral spirits of this land—the foremothers and forefathers of the Chinookan peoples who, we must not forget, still walk these lands. We thank you for the invisible cultural and spiritual legacy that you’ve left behind and continue to cultivate. May we, with humility, reverence, and respect for old ways and new, find a way to live in harmony on these Pacific Northwest lands with all of the beings with whom we find ourselves in shared inhabitance. We give thanks, my child, to the stars, and the sun, and the moon, ancestors all. It is from the stars that we all have come, and while you may forget, I am here, one who has also forgotten but now remembers, to remind you that all life is one. Every bit of matter in your body has been a part of making up countless other creatures from the tiniest bacteria to great blue whales to the long extinct dinosaurs. The waters that will course through your body rained upon the first great forests of this Earth, have silently flowed through all manner of flora and fungi, have waved and crashed ashore in seas supporting the primordial origins of life, and have rushed through forgotten riverbeds that now run dry. Your Mother the Earth has for countless millennia dreamed of, experimented with, and given birth to just the right amount of plant life to create the self-regulating biological systems that make air composed of the proper proportions of nitrogen, oxygen, carbon dioxide, and argon for you to thrive. From your first breath to your last may you always be grateful for the live-giving nourishment that enters your lungs with each inhalation. Honor the plants, trees, shrubs, lichens, and the plankton of the sea through whom all of this air has passed. Praise the process of carbon dioxide conversion knowing that we and all other animals who partake of this atmospheric gift also do our part in the cycle of life and provide the carbon dioxide that plants require as we take in the oxygen that we need to survive. As we all now as a community align ourselves with the Earth and the Sky and tune ourselves to the spirit of and open our hearts to this being who is coming, I ask, who are you, my child, my love? While your spirit gathers as your delicate, little body prepares to emerge from the body of your mother, we hope that you can sense and feel our excitement and love. We long to meet and welcome you to this incredible and exquisitely beautiful planet we call Earth. I ask you, what can we do to prepare the way for you? What do you need from us to be able to fully express yourself and to fulfill the mission of your life? We may not always be perfect parents, family, or community members, but we promise that we will do our best to provide for you. I will tell you every single day of your life that I love you. I will introduce you to my spirit allies and their songs: the guardians of the forest, the beings of the sea, my bird-tribe friends. Ashusha is waiting to teach you about protection. Someday I will offer your first-cut hair to the forest. In this way the forest and all of her children will know you and you them. We thought long and hard about bringing new life into this world, but in the end we opened ourselves up to the possibility. We prayed to the cosmos. We asked if there was anybody who wanted to come. You answered and let us know that you are coming to be part of the the Great Turning that is under way. It is a difficult time to be a human. Many of us have forgotten to honor and respect the only home we have, and despite the sacred beauty of this bountiful creation, we pollute the waters, the air, and the earth. Because of us animals are going extinct at an alarming rate. The bees are dying. We dam rivers, desecrate mountains, and indiscriminately cut down whole forests. In your lifetime you may witness the last of the polar bears and the disappearance of the glaciers. Rising tides will claim many coastal cities. Refugees from these disasters and others will spread across the globe seeking sanctuary. There will be much suffering as we adjust to life on a very different planet than the one to which I was born. Even so we continue to hurt each other without pause. We kill each other in needless wars. We neglect those who need our help most. I want to let you know that your seed will sprout in a clear-cut-forest culture. You will be exposed to existence in ways never intended for humans. We neither care for nor respect the elders who would normally provide you shelter and shade. The soils in which you will grow have been stripped of their minerals, the values, that will guide you and help you grow, but the people of my generation are the people of the weeds. We are the people of the Alder. 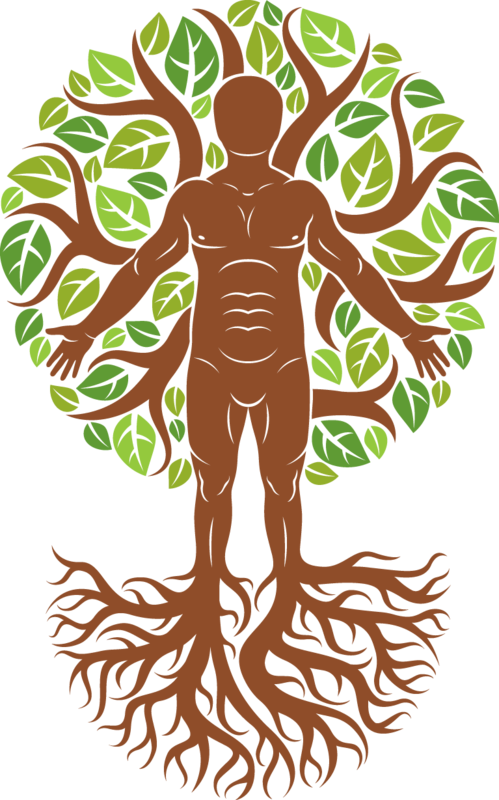 Our roots convert toxic cultural waste into vibrant life force, providing nutrients necessary for your strong growth. Our roots dive deep and spread wide to break up compacted, hard-pan soils of ideology. We stabilize and firm the soil for your strong growth as we ourselves struggle to rise up towards the sun and the wisdom it sends upon the solar winds. We purify and clarify atmospheres of mind with the greenness of our leaves so that you can focus on the great work ahead. This grove within which we now stand will be your school. Your teachers will be the trees. Cottonwood will instill in you a sense of home and the quiet dignity of the forest. Grandmother Madrone will wash you clean so that you can shine in your purest bloom. Grandfather Juniper will guide and watch over you as he teaches you discernment. Hawthorn will teach you to use your thorns to create a space of vulnerability and open heartedness. Mother Aspen is here to bless you and invite you into communion with all of life. Mother Dogwood will help you understand the darkness that resides within us all and open your capacity for visions. Redcedar, the Tree of Life, will teach you the wise use of power and connect you with the spirits of this land. It will not always be pretty or easy, but I want you to remember these things: The Earth is alive. She will care for you. All beings are kin, and the thrush whose ethereal song is a promise of remembrance will awaken your dreams. When you arrive the entire forest will be singing your song. Forever praise the Queen of the Forest, and remember that holy is the whispering of her leaves. Within you live the seeds of our salvation. We welcome you to this life.